ManTech proudly serves the Intelligence Community, the Space Community, federal law enforcement and the intelligence needs of the Department of Defense. Our customers include the National Geospatial-Intelligence Agency, the Department of Homeland Security, the Missile Defense Agency, the Federal Bureau of Investigation, U.S. Army Intelligence & Security Command, the U.S. Air Force, and many others charged with the most sensitive missions in safeguarding national and homeland security. These customers rely on ManTech’s expertise in full-spectrum cyber, data collection & analytics, enterprise IT and systems and software engineering. 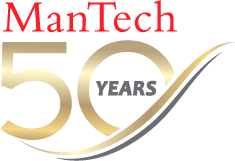 Through years of experience with ManTech they trust our expertise in multi-discipline intelligence, program protection and mission assurance, C5ISR, supply chain management and logistics, and comprehensive training in each of these areas to ensure mission success. ManTech continuously reviews and tests innovations and applies what we learn to tailored best-in-class solutions that surpass expectations, raise the bar on quality and drive missions cost-effectively.